Last year, Springfield, Mo.’s City Utilities Transit Services (CU Transit) added surveillance video management software to its fixed-route and paratransit bus fleet to improve passenger safety and security. The software works with the vehicles’ existing video surveillance system to collect data about the buses and supplement the recorded video. 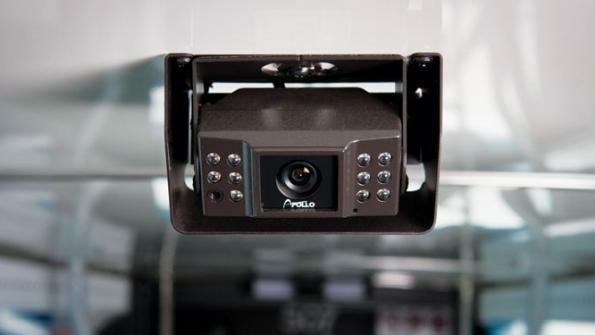 CU Transit installed a RoadRunner video surveillance system from Woodinville, Wash.-based Apollo Video Technology in 2010 on 25 fixed-route buses and five paratransit vehicles. The system includes up to eight interior and exterior cameras, DVRs and wireless networking equipment on each bus. CU Transit uses the system to investigate incidents on or around the buses. In addition, transit officials are contacted periodically by law enforcement to provide video if a CU Transit bus is in the vicinity of an incident. In all of these cases, CU Transit downloads video as needed to assist in incident investigation. To gather additional data and reports from each bus’s surveillance system, in 2011 the agency added Apollo Video’s ViM (Vehicle Information Management) Software. The ViM software supplies vehicle status reports, event logs, on-demand video clip retrieval and automatic downloads of event video wirelessly to CU Transit’s office staff. The information confirms to the agency how equipment is working, and it notifies operators of any system errors while the buses are on their routes. For example, through the ViM software, transit supervisors can see if an on-board camera has been vandalized or if its view has been obstructed, and then they can notify the maintenance department so the appropriate repair or equipment replacement can be made to resolve the issue. Previously, the problem might not have been discovered until the bus had been physically audited, which could mean days of unavailable video footage. The ViM software also includes an archive system with short-term and long-term storage options and event statistics (route, bus, driver and GPS information), increasing accessibility to video surveillance and fleet data. CU Transit vehicles are equipped with numerous cameras capturing video from a number of angles that can serve as evidence in incident investigations. Police and first responders now have access to that information whenever they need it.